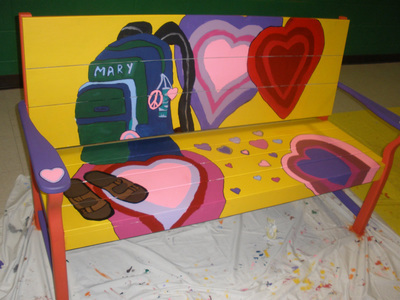 These custom designed locust benches were built as a memorial to a well loved member of the community. 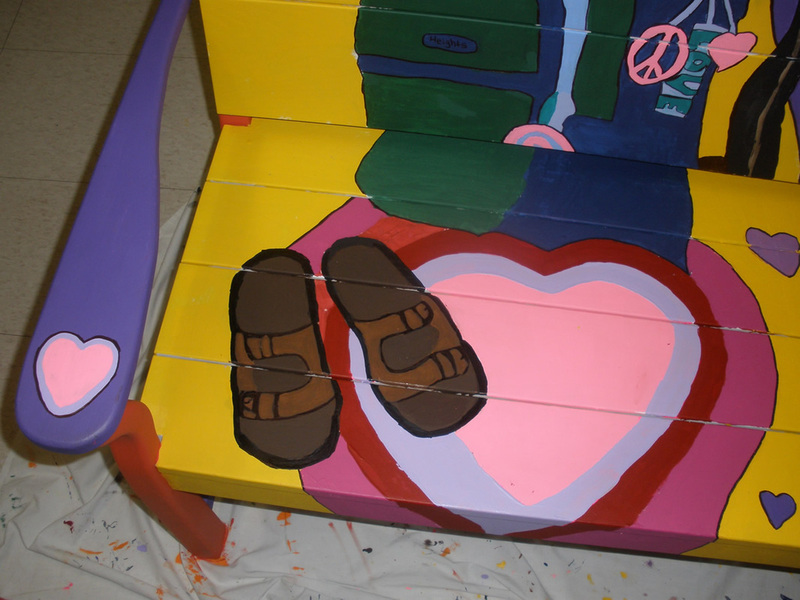 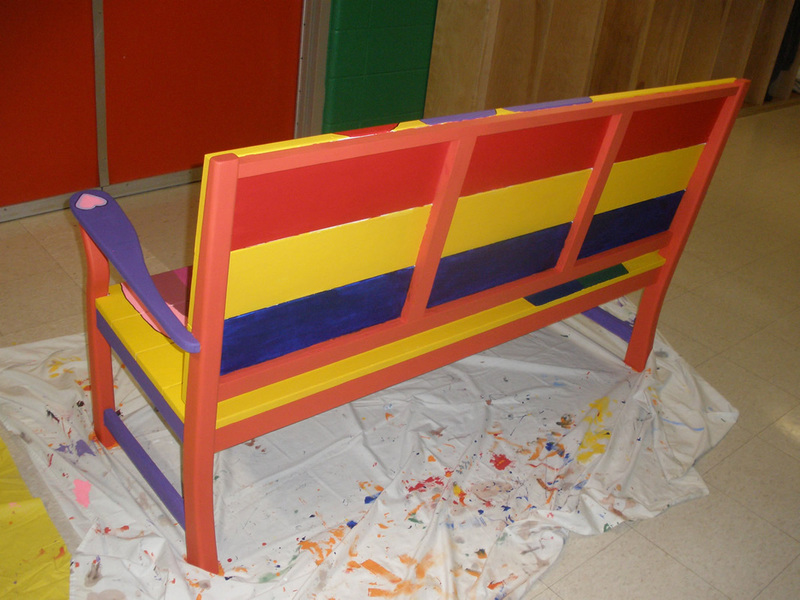 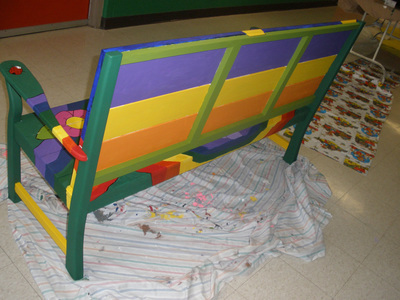 The large flat backs and seats were designed to be painted easily by the students of the elementary school. They were primed white and ready to go. 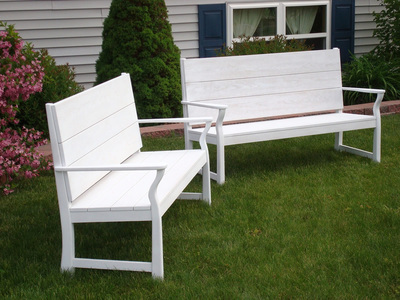 The benches are built using locust wood chosen for its strength, durability, and resistance to the elements. 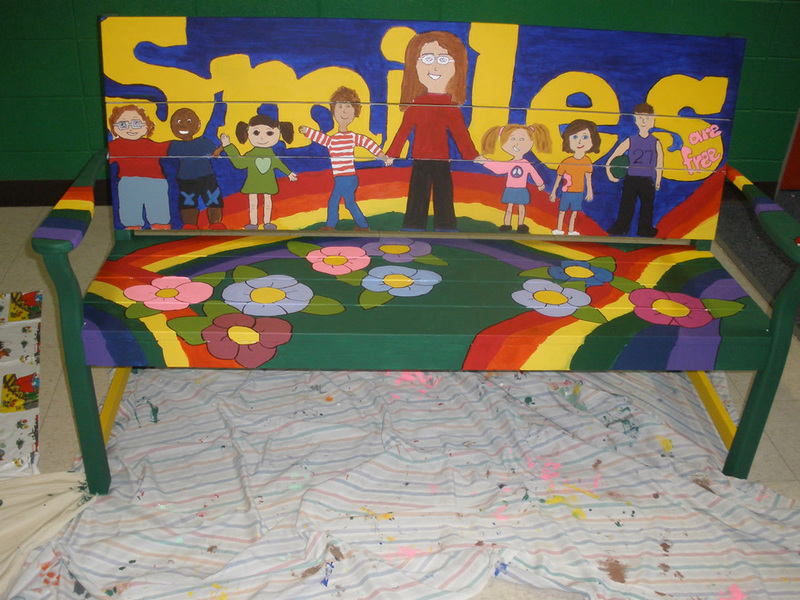 Please see the photos of the benches after they were painted by the students - I think they did a fantastic job.